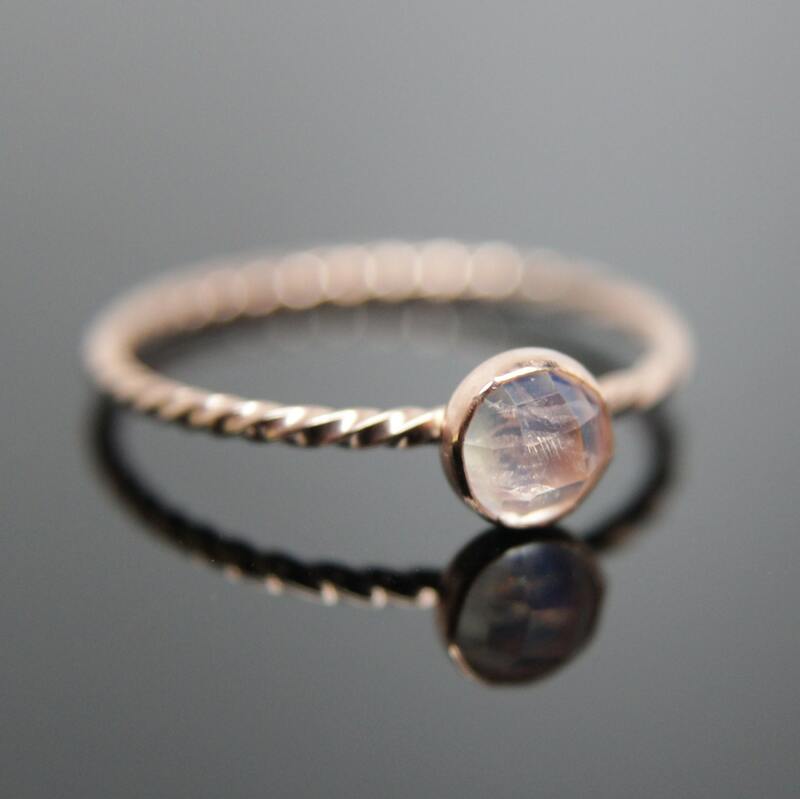 You already love stacking rings in sterling silver, so why not in 14k rose gold?! This listing is for one gemstone stacking rings atop a plain or twist band. These rings are SOLID 14k rose gold- not gold filled or plated! *these are only available with plain edge bezels. I may choose to use a dot of adhesive to keep your stone from rattling. Please tell me which gemstone you prefer in Notes to Seller at checkout. If you do not see the gemstone you are looking for, please contact me for availability and special order pricing. Love this ring! Bought it to go in a 7-ring stack for my 7th anniversary. It's so perfectly dainty and gorgeous, pictures don't do it justice! The rainbow moonstone looks great on rose gold, and the twisted band is perfect. Very pretty and dainty. Just as I expected.